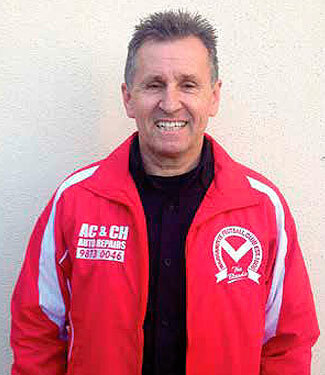 LONG-time Warrandyte resident Bram Bektash was recently announced as sports chaplain for Warrandyte Football Club. This is the first time the club has ever appointed a chaplain to assist and support the club and its families. Bektash has lived in Warrandyte for 14 years with his wife Rose and five children. His involvement with the Warrandyte Football Club spans over 10 years and he is appreciative of the club’s ability to provide an outlet for his children to develop as players and as people. “The Warrandyte Football Club is one of those organisations which through the efforts of associated individuals has contributed to my families wellbeing,” Bektash said. “My son Josiah is currently playing for our Under 17s and has benefited from the relationships he has formed within the club over the years. Relationships with other players he would call his mates and coaches like Steve Rowarth, Tim Poole and James Yoffa who regularly speak into the lives of the next generation and help to shape our boys into community minded young men. some time. With a wealth ofexperience in this profession, the football club will no doubt benefit from the services provided by Bektash. others discover a holistic approach to life,” he said. Having a chaplain will give those who have some involvement with the club a person to speak to should they need guidance, advice, or just someone to talk to about life. Club president Stephen Bell shared his thoughts on Bektash and his new role at the club. “It is important for the club, particularly the players, to have someone independent like Bram to talk to if they feel the need to.